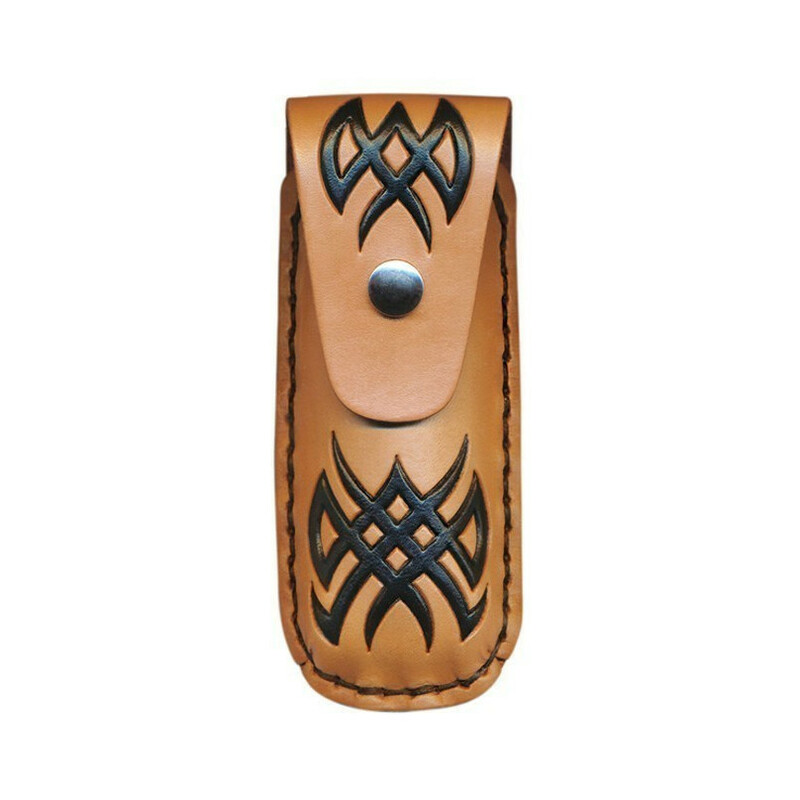 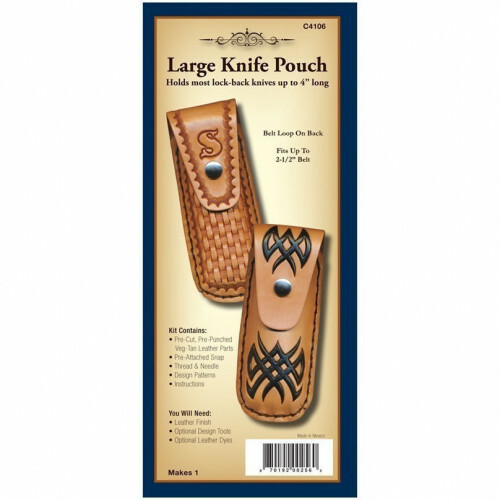 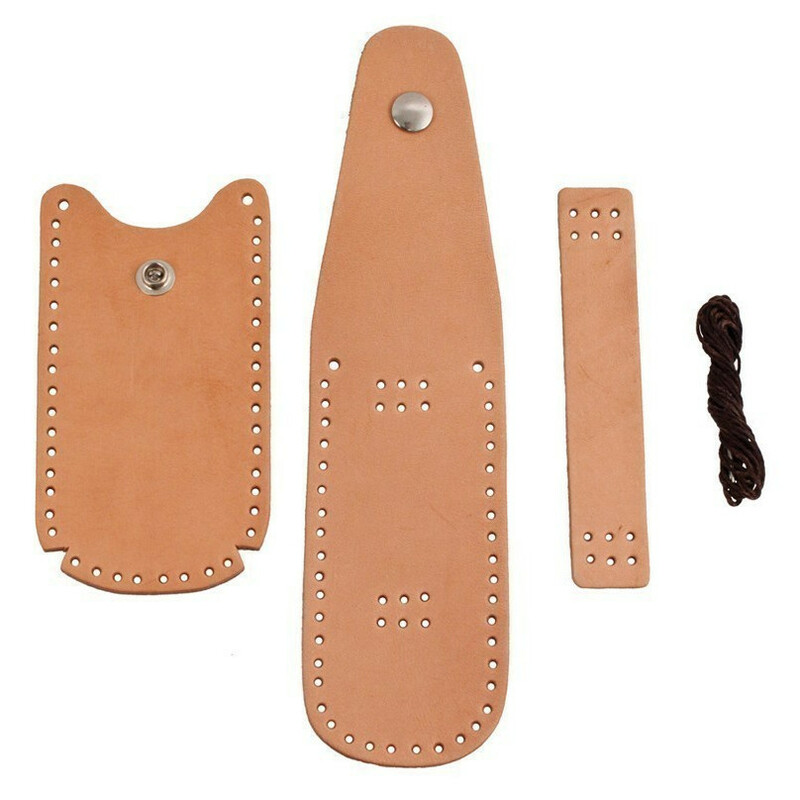 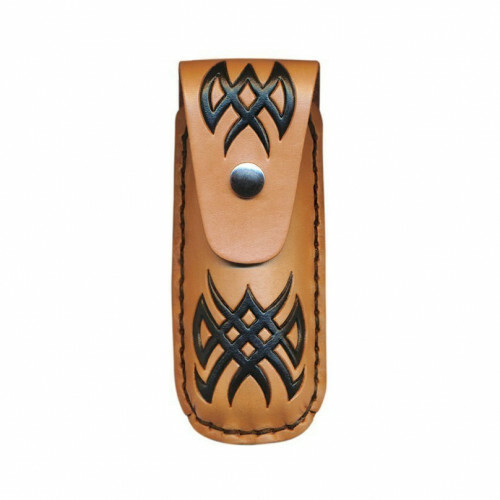 For large lock-back knives up to 4" long, this pouch is the best choice. 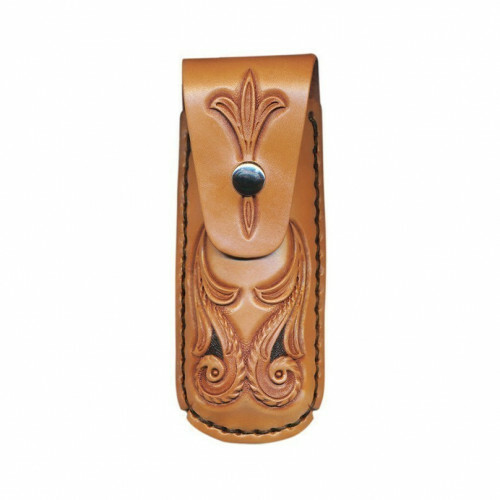 Belt loop design helps keep the pouch securely on your belt. Stamp a design, initials, add a color stain or leave natural. 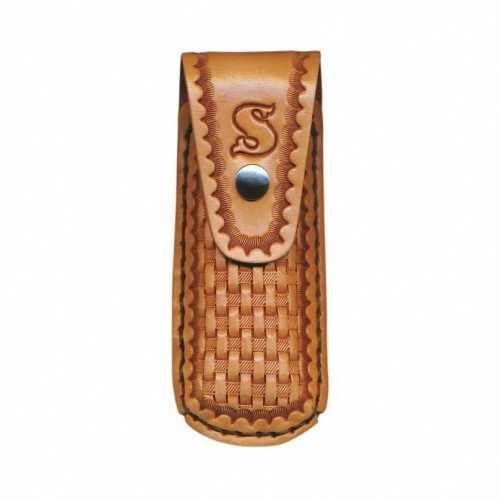 Then add a protective leather finish. Kit contains pre-punches tooling leather parts, pre-attached snap, waxed thread, needle, patterns and instructions.